Jersey, officially called the Bailiwick of Jersey, is the largest of the Channel Islands. It is situated in the English Channel but is only 12 nautical miles from France. In the spirit of exploring more of the UK, or the British Isles in this case, I decided to a pay a visit to Jersey. 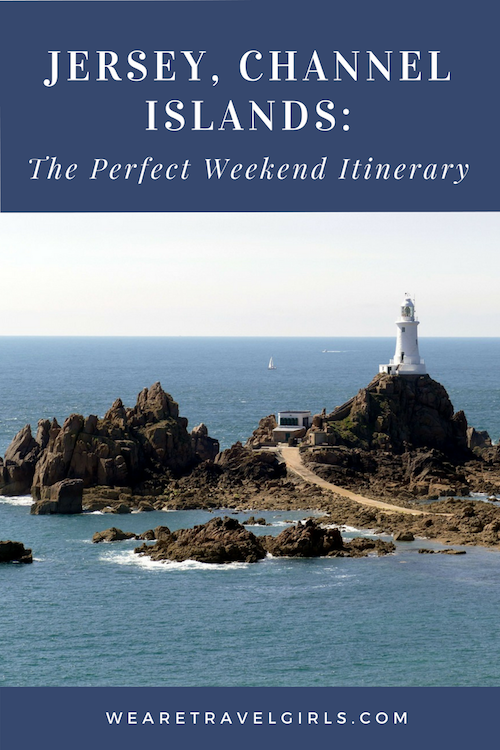 Follow this guide to plan the perfect weekend itinerary for your visit to Jersey, Channel Islands. 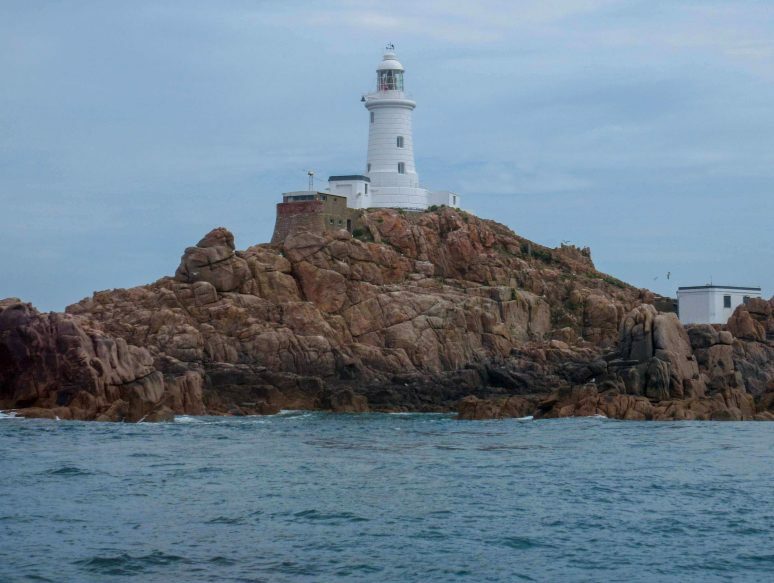 Jersey is, technically speaking, a Crown Dependency, like Guernsey and the Isle of Man. This means it is self-governing, with its own financial and judicial systems. However, it is defended and represented internationally by the United Kingdom, which is why I still included it on my UK bucket list. 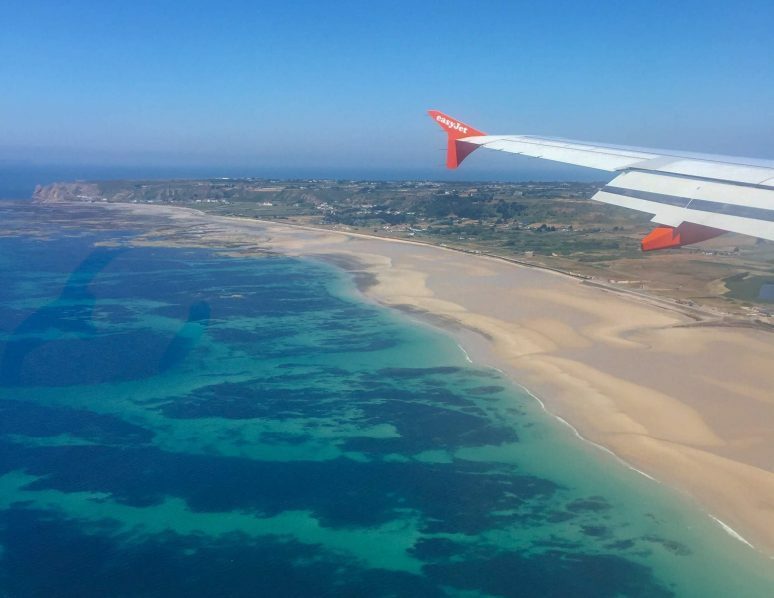 If you are in the UK, Jersey is only a short flight away. Some airlines like EasyJet even fly direct from major UK airports. The currency used is the Jersey Pound, which has the same value as the British Pound. Both are used interchangeably on the island. You might pay in British Pounds and receive Jersey Pounds as change. Because Jersey Pounds are not widely accepted in the UK, make sure you use those up on the island. You will also find prices are similar to what you’d see in the UK. I stayed in the centre of Saint Helier, the capital of Jersey, only a short walk from the bus station. The bus service is great in summer but much more limited in winter. If you are visiting during the colder months, I recommend hiring a car to get around. Although Jersey is only about 45 square miles, there isn’t a shortage of things to do. Here is my long weekend itinerary, perfect for a summer visit to Jersey. Most people are familiar with Jersey’s agriculture, particularly the Jersey Royal potato. 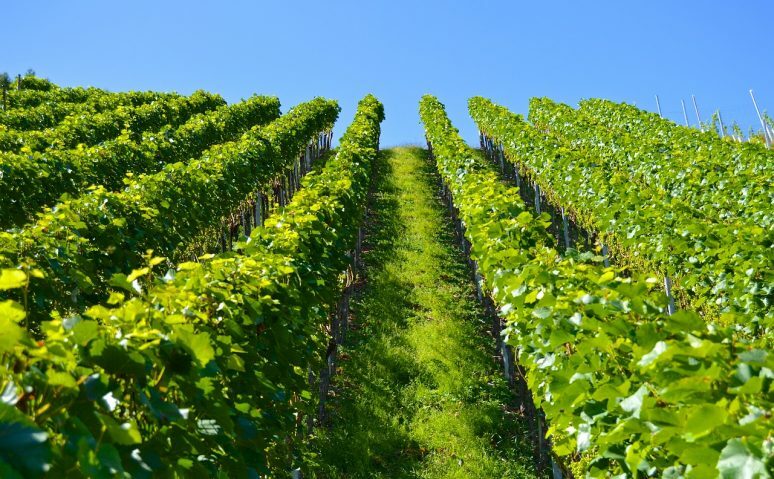 However, the climate in Jersey also means it is an ideal place to grow grapes. And that means wine! La Mare Wine Estate was established in 1972 and produces a range of wines as well as cider, gin and ale. Visitors can start with wine tasting and then enjoy the vineyards, orchards and gardens. Visit Jersey’s internationally recognised Ramsar Wetland site to explore the glow-in-the-dark beach on a bioluminescence walk. Jersey Walk Adventures takes you on a guided nighttime walk in search of fireflies and glow worms around the area’s rock pools and sand bars. I didn’t make it on this tour this time but it was highly recommended. That just means I have an excuse to come back! For an island that is only 9 miles wide and 5 miles long, Jersey has its fair share of beaches. Apparently, you are never more than 10 minutes away from the sea. 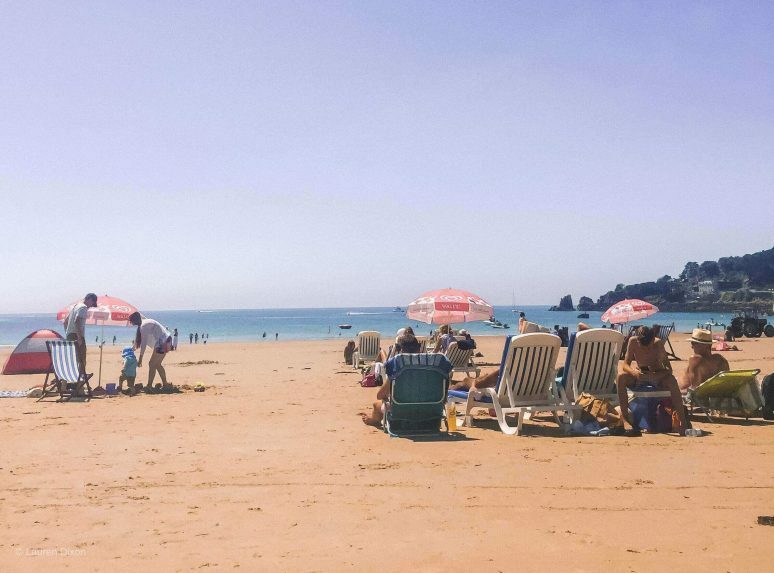 Our Jersey resident friends recommended Saint Brélade’s Bay. Although busy, this popular beach is a favourite for its safe swimming and beach activities. Here you can go paddle boarding and banana boating when you’re not taking a break relaxing in the sunshine. There are also a few cafés and shops right next to the beach for when you need an ice-lolly fix. For somewhere quieter, there is Portlet Bay, which is highly recommended by locals. It’s a bit of a hidden gem, known for is gold sands and clear shallow waters. You have to walk down a steep set of stairs to access the beach, so be prepared. Once there, there are plenty of cafes to choose from for lunch. If you have a car, try Plemont Bay, which also seems to be a local favourite. 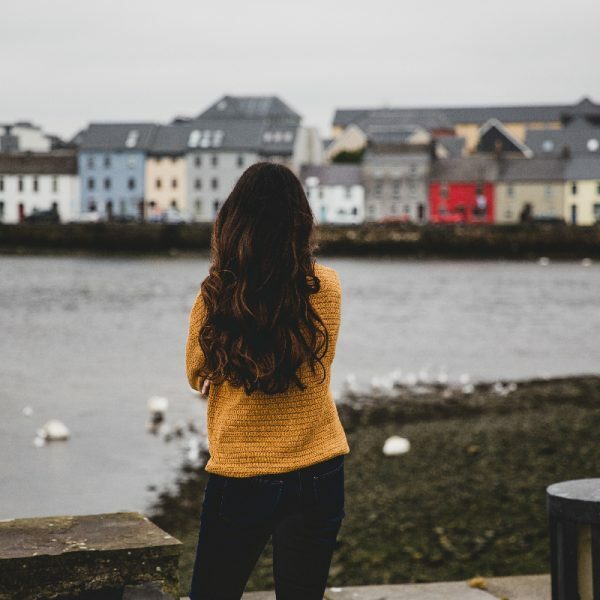 This beach is known for its wildlife (there’s a good chance you’ll spot some dolphins), rock pools, caves, and even a nearby waterfall to discover Like Portlet Bay, you need to descend a steep set of stairs to get to the beach. Go at low tide to enjoy the beach, but if the tide is high, you can always sit and have a drink at the nearby Plemont Beach Cafe until the tide goes out. Originally a fishing village, St. Aubin is located on the west side of the island and opens out to a bay called the Gulf of Saint-Malo. Spend some time walking around St. Aubin before dinner. For food, I recommend The Old Court House Inn or the Salty Dog, two local favourites. Afterwards, head back into St. Helier for some evening libations. Get a cocktail at Ce Soir or the Royal Yacht, which are always packed on a Saturday night. The Jersey War Tunnels tell the story of life in Jersey during World War II. The tunnel complex is 50 meters deep into the hillside within St. Peter’s Valley. 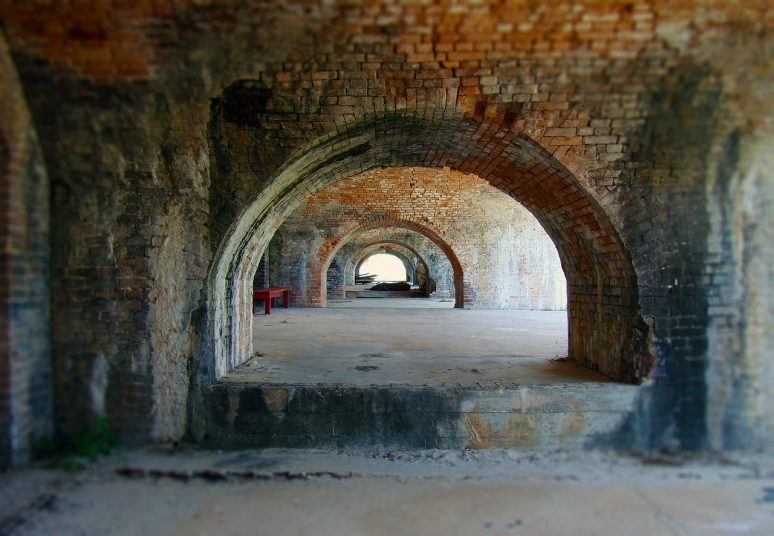 It was originally intended to be a barracks and ammunition store for German forces occupying Jersey from 1940-1945. This is an opportunity to learn about the people who experienced life under occupation. The stories you’ll hear at the War Tunnels were told first hand or passed down through generations in local families. There’s no need to book in advance, but it does get quite busy. One and a half hours should be plenty of time to explore. No need to go to Valensole to get that Instagram-worthy pic with the lavender fields in bloom. 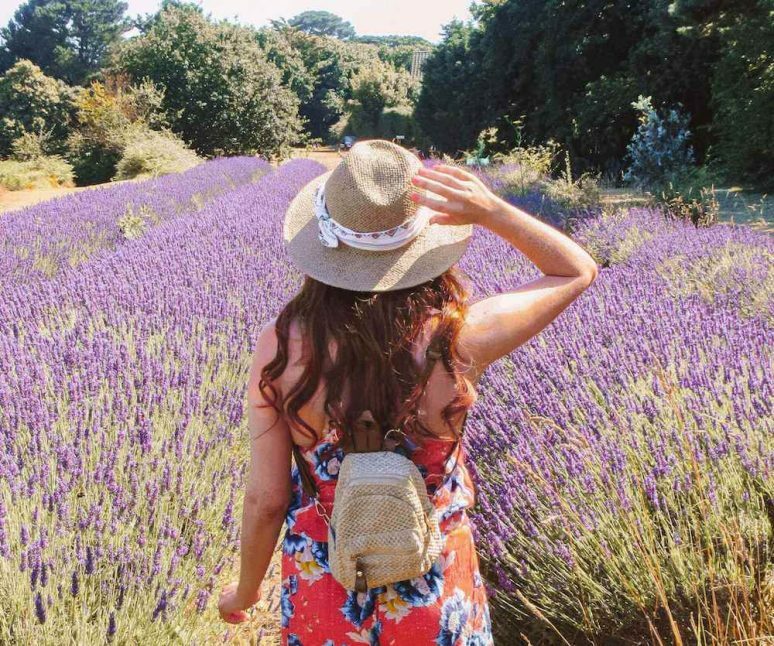 Although smaller, Jersey has its own lavender farm located on the south west of the island in Saint Brélade. St. Brélade is easily accessible by bus. It is open from May until August (but is closed on Mondays). This year they took longer to harvest the lavender so that more people could enjoy the spectacle. The best time to see it in bloom is from early June to early August. Make sure you catch one of the educational talks during the day. You will also get a chance to see the distillery to learn about the farm and smell some of the lavender oils. Visitors can walk around the fields, feed the free-roaming chickens, and have a shot on the swing. 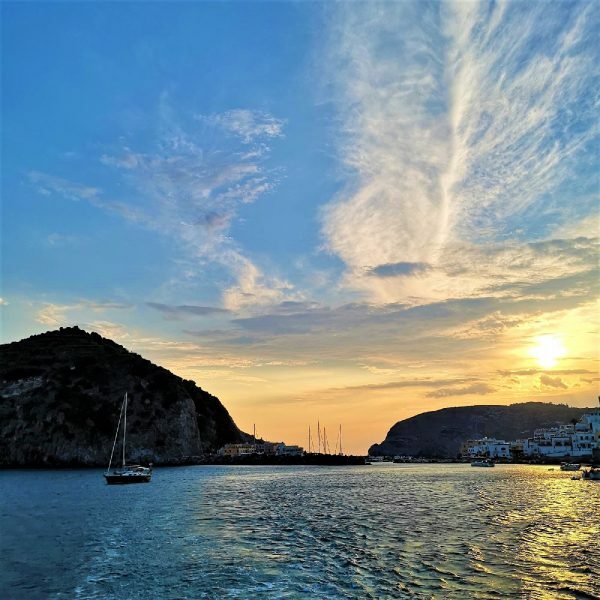 Make your way to Saint Catherine’s Breakwater in the northeast of the island for an unforgettable rib boat adventure. This spot is also easily accessible by bus. 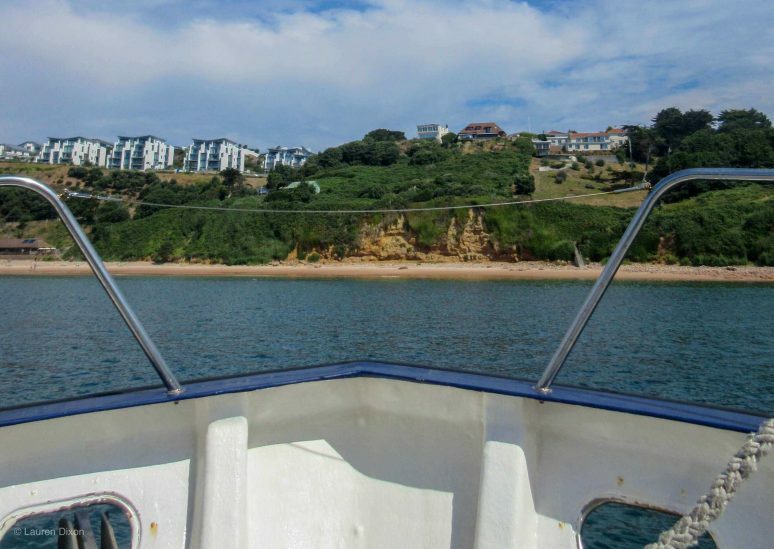 At St. Catherine’s Breakwater, you will be picked up in a 12-person rib boat. 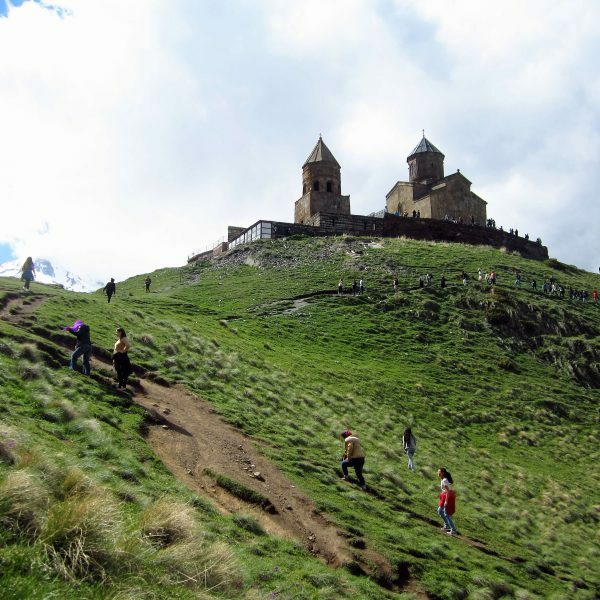 There are plenty of tours from which to choose depending on how much time you have. The tours range from one to eight hours. Hopefully you will be lucky enough to catch a glimpse of sea lions and dolphins, like I did on the Écréhous trip. You may also spot some puffins on whichever tour you chose. If you are visiting in the summer, remember to bring your swimwear as everyone goes in for a dip (even if the water is a bit chilly!). 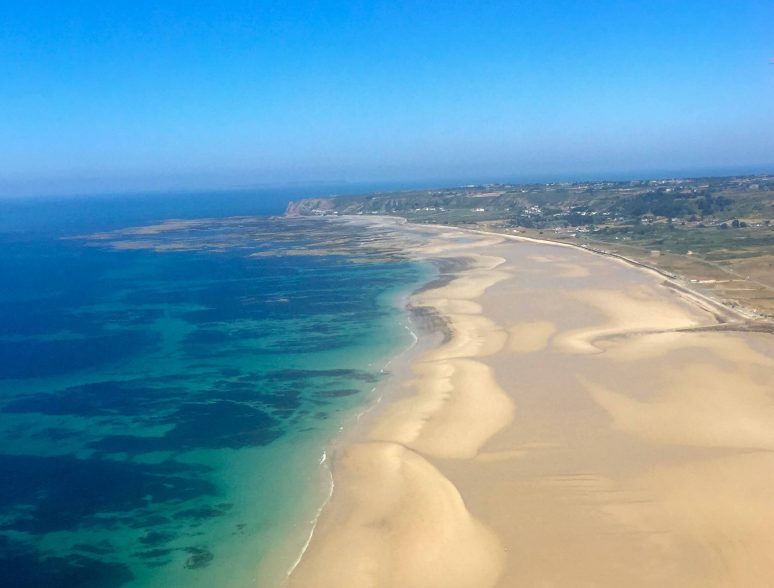 I hope that this has inspired you to visit Jersey! If you have been to Jersey before please feel free to add any tips and recommendations in the comments section below. 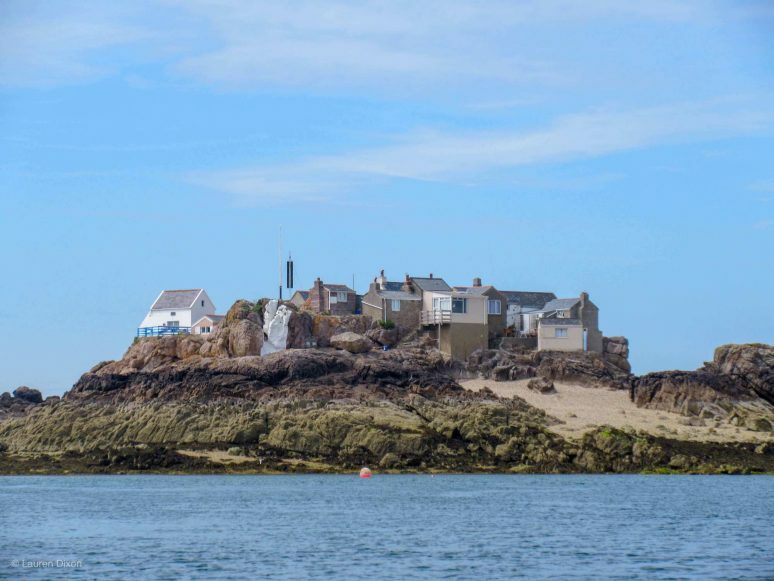 We hope that this article has inspired you to plan a weekend getaway to Jersey, Channel Islands. If you have any questions about the destination please leave these in the comments below.